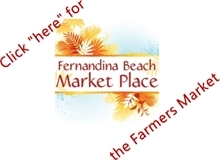 Vendors at the Fernandina Beach Market Place farmers market are so grateful to the community support expressed by our neighbors that from time to time a vendor will offer an appreciation special. Great Harvest Bread Company’s philosophy is giving back to their community. In that spirit, beginning October 27, 2018, they will be offering the following specials until November 15th. All white breads will be $5.00 each, wheat breads will be $6.00 each, and sweets will be $3.00 each or 2 for $5.00. They haven’t forgotten their vegan friends either; there is a three muffin option available in banana walnut, pumpkin, raisins, or blueberry vanilla. The Halloween candy is flowing freely in my household, so to help avoid temptation I’m picking up a few baskets of blueberries, peaches, and strawberries from Kings Kountry Produce. Another sweet option is the baby ears of corn from Boatright Farms, or try baking a bacon wrapped radish from Cabbage Creek Farms. 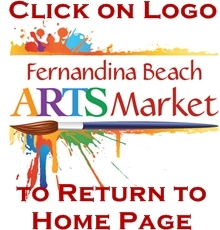 The Fernandina Beach Arts Market will also be open on October 27th with a sold out market of handmade and hand crafted wood, paintings, apparel, metalwork, custom fabrics and more. Look for Mike’s bird houses. These colorful houses and birds brighten up any yard or container garden. Gotz 2 Paint has an amazing hand crafted chess board, shaped like a turtle, and they also do pet portrait commissions; order now to get your’s in time for the gift giving holiday season. Look for some amazing returning vendors such as Rose’s Unbelievable Egg Rolls, Oizeo’s Asian tapas, Jay’s Marketplace and their chopped olives, and Me, Myself, and Pies. We are also introducing a new coffee vendor this week, stop by and show Chauntel a warm Fernandina welcome. This week’s Booth With a Cause will be Community Hospice, a wonderful organization who help you prepare for end of life decisions, and our music will be provided by guitarist and singer Lucas Merren. Tagged Holiday Art. Bookmark the permalink.